Der Lorraine 155 mle. 50 ist ein französicher Selbstfahrlafette der Stufe 7. Nach dem Krieg in Frankreich auf Basis des experimentellen Lorraine 40t entwickelt. Das Fahrzeug wurde 1950 erfolgreich erprobt, jedoch nie zur Serienreife gebracht. Der Lorraine 155 mle. 50 führt zum Lorraine 155 mle. 51. Gun range: 1350 m for both available guns. Nice top speed maintainable on flat road. Split best signal range for the tier. Lower accuracy than most of the tier. 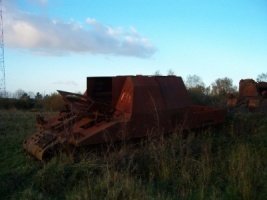 Instead of a second Loader (like its predecessor and successor) it needs a Radio Operator. This breaks the Brothers in Arms perk. (if you have it). Bit low shell trajectory makes obstacles interfering. Compared to its peers in the tier, somewhat slow reload and low Damage per minute. Has very decent reload, accuracy and mobility. 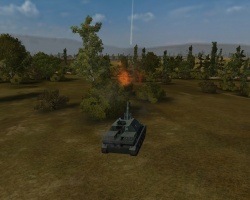 The SCR 528F radio carries over from the AMX 13 F3 AM. Mount it immediately. Research the Lorraine 155 mle. 50 bis Suspension, followed by the Obusier de 155 mm mle. 1950 gun. Research the Maybach HL 230 TRM P30 engine last, as the performance gain is minimal. 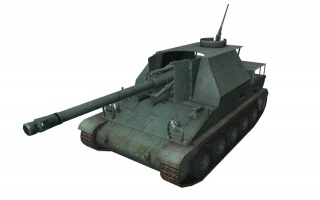 In 1950, Lorraine started the development of its own self-propelled gun. 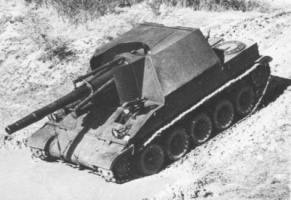 Lorraine’s engineers proposed two different concepts on the same chassis, although at certain point of the development even a wheeled chassis was considered as an alternative to the tracked one. Official names of the prototypes were “1a” (model 1950) and “2a” (model 1951). 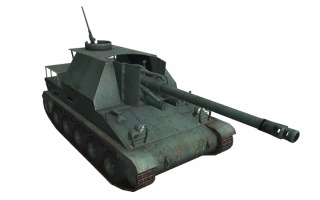 The main armament of both prototypes was 155 mm howitzer. 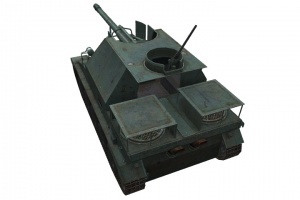 First prototype, marked as “model 1950” had its howitzer mounted in the centrally placed casemate, while the “model 1951” had the structure pushed to the front of the veichle. Early versions had a Talbot made engine, but by the year 1951 a Maybach engine was installed. 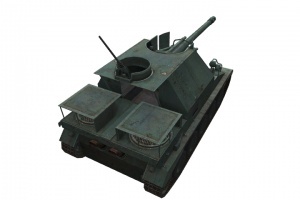 Trials revealed a number of serious design flaws, so in 1954 a model with a fully rotatable turret was considered. As at the time Batignolles Chatillon was already involved in development of similar project, Lorraine’s ideas were rejected, and all further development was canceled. Diese Seite wurde zuletzt am 25. Oktober 2016 um 13:34 Uhr geändert.